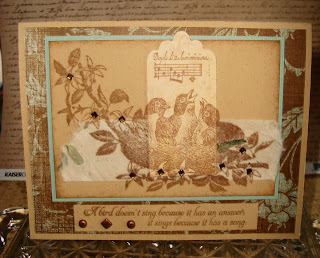 Vada's Blog Stamp Inks and Paper : Monochromatic Card. If you have time stop in and see the outstanding artwork posted. I’m adding my card and would love to have you join us. I went with shades of Brown and Teal. I added Chocolate Rhinestones to the centers of the flowers, also use three different shades of brown paper to the image. See large images for more details. Thank you for stopping in this morning, have a wonderful week-end. I've never seen a tag used to highlight an image, I just might need to steal that idea from you!!! 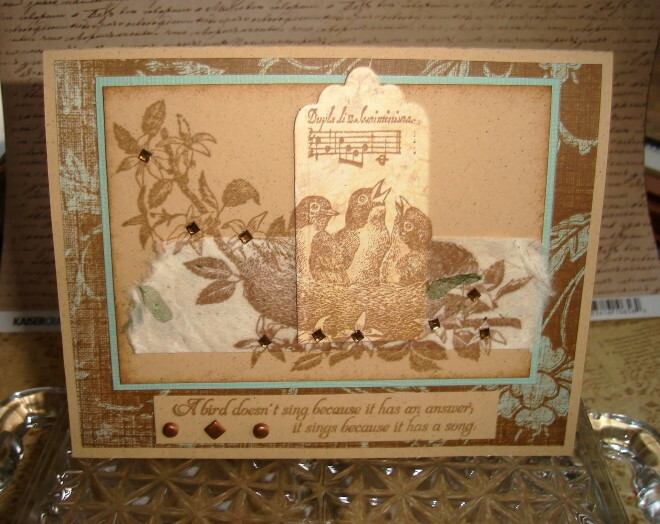 Sophisticated card with beautiful highlights of chocolate brown. GF, this is just outstanding! I am with Lynne and may be stealing that idea from you to highlight a tag! 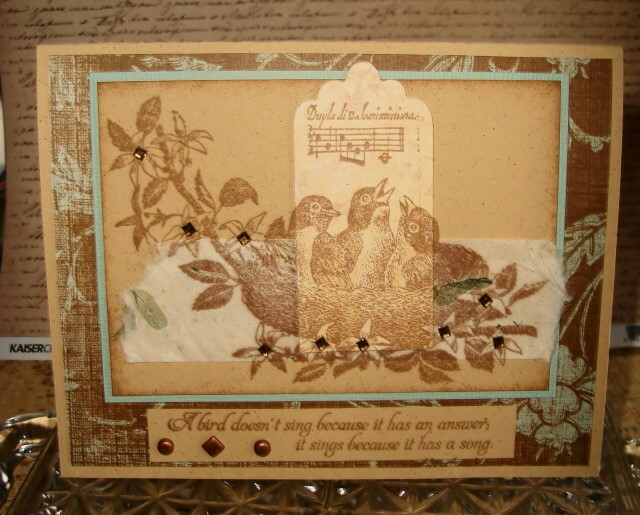 Love these little birds on this glamorous and elegant tag! Thanks a bunch for joining us at FSC! Have a great weekend! Wonderful card- love the color pop with the blue! Wow, just a fantastic creation, love the colors and the images. By the way - it would be very helpful if you delete the word verification. There are TWO word to enter and one isn't well to read, it's very time consuming. Fabby! Can`t say enough, how creative and absolutely gorgeous! Beautiful! Love the way you've stamped over the tag. What a gorgeous and creative card! Wow, absolutely gorgeous, love your design with the tag. 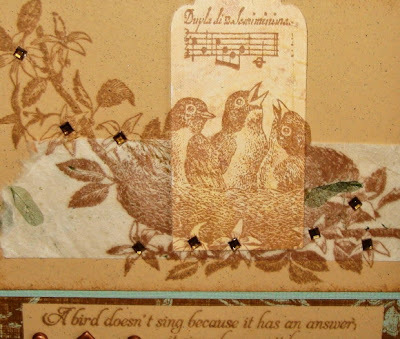 A beautiful card Vada and very clever use of a tag too. Love the colours you chose too. Thanks so much for joining in with the FSC monochrome +1 challenge.